WanderMan: A Pressure Cooker...For Your Microwave? Is That Even Possible? A Pressure Cooker...For Your Microwave? Is That Even Possible? For many MANY years, my Mother has been using a pressure cooker for lots of recipes. It's become almost a tradition in the household. I'm not complaining! Some of the best and most tender meats I've ever eaten are cooked in a pressure cooker. I have always wanted to have one for the RV, but they are large and hard to store. Since I wouldn't be using it very often, I really couldn't justify that amount of space. Last year, I came across a Microwave version of the pressure cooker. Wow! Seemed too good to be true. It was plastic, didn't take up too much space and weighed very little. The question...Did it work? Well...Kind of. So this cooking gadget has no real way to seal the lid to the body, it does have two plastic latches, but it leaks enough that almost no pressure builds up. There is an adjustable steam vent at the top. You load in your food, add some liquid, pop on the lid and set the vent, Pop it in the microwave and Voila! you have cooked food. OK...sounds easy, and it is. But it isn't pressure cooking, it's steaming. It makes anything you can make in a steamer perfectly, every time. Likely due to the vent on the lid. I made white rice, brown rice and lots of varieties of vegetables without a hitch. I did try a meat recipe. In a word, YUCK. It was awful. More like soup than anything else, After that debacle, I looked around online and found a couple of other devices billed as microwave pressure cookers. One was only $17.00 shipped, so I ordered it. It has a seal for the lid and really looks quite a bit different than the one I have now. I also saw one by Nordicware and one made by Tupperware...haven't been able to locate one to buy and test, but they are a lot more expensive. Looks like this story is only just beginning. There are also several Electric pressure cookers that I know work well, but I fear they will use too much power and since I already have a small one, I know they take up much more room. As always, don't believe everything you see hyped on TV about better/faster/healthier cooking. Take everything with...well, a grain of salt. We bought a microwave pressure cooker from QVC (Cooks Essentials) and it's one of the best buys we've made recently. Give it a try. ABSOLUTELY, I had just finished the article when I cake across the Cook's Essentials one. Already ordered and on the way. Thanks for the tip! I have and use the seen-on-tv "Power Pressure Cooker XL", $70 at BB&B... which is a 120v computerized cooker. I agree you'd be insane to run it on an inverter, but keep in mind you only need to run it 1/10th the time of a slow cooker for the same incredible results. 30-45 minutes on generator is reasonable in my opinion. If you happen to be plugged in, all the better, as you can set a delay start and have incredible meals waiting for you when you return from hikes or whatnot. Also, as I'm sure you're aware, because the moisture in a real pressure cooker is contained, you won't steam up your camper AT ALL while cooking. I actually take mine outside if fast-venting is desired. Storage of a 6qt cooker isn't as bad as you think, but i carry other big lobster pots, folding chairs, and inflatable kayaks already. My cooker lives under a bench, and is happy there considering how often it's being used once it joined us. I have been looking st a few of the electric pressure cookers. I have one at home ( a small 4 Quart model) that works great. As soon as I know the true amp draw over time, I'll see if it's even possible. Doubtful, but possible. I hate high moisture levels in my RV..mold, wood deterioration. A real bummer. Good idea to vent outside. I will definitely do that! My RV is severely limited in storage space. Especially large spaces. If something comes in, something will have to go. My PPC-XL is labelled 1000W but i can confirm that next time i use it since i have an ammeter on my wall (see https://m.youtube.com/watch?v=lVOSfbhoPYs). It only draws hard while heating which can be helped by starting with LP-heated water, but the final amp-hour usage would depend on what/how long you're cooking. I would be VERY interested in the initial and total amp draws over time. 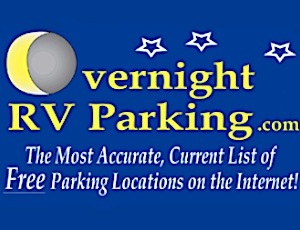 Any info like that helps immensely with determining if a particular appliance is "RV" worthy for boondocking expeditions.